As the Muslim world deals with the horrific acts of terror perpetrated by Brenton Tarrant from Grafton, NSW, Australia, equally morally reprehensible was that it was live-streamed for promotional gratification. Will history repeat itself? Muslims are all too familiar with the wider ethnic cleansing perpetrated by Bosnian Serb forces between 1992 -1995  or the Rwandan genocide in April – July 1994 on our African continent which desecrated almost 70% of the Tutsi population. Hard questions must be asked as to how such a dastardly act could have been perpetrated in the first place, evading the scrutiny of Interpol, Australian and New Zealand Intelligence and Law Enforcement Agencies. As a Muslim, I am highly incensed, together with every other peace-loving and religiously tolerant citizen of the world. Tarrant’s hate lies in stark contrast to the rich and enlivening message of the body of Islam brought as a mercy to humankind by our beloved prophet Muhammad (Peace be upon him). Over 1 400 years of Islamic civilization and its rich religious cultural heritage as a way of life shall continue engendering qualities of submission to the Oneness of the Creator, peace, love, justice and freedom to every human being with open hearts and unveiled minds. Whilst the message of Islam brings peace and tolerance, its prescripts for justice against oppression are incontrovertible. 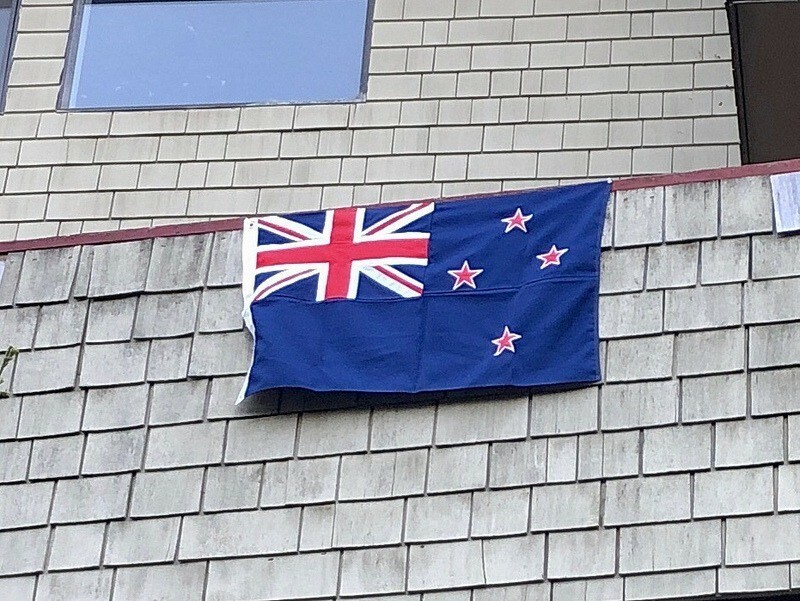 The New Zealand Prime Minister, Jacinda Ardern has appropriately condemned this horrific act of terror and empathized with bereaved families and wounded of the Christchurch Muslim Community, but it remains our responsibility to be critical of these horrendous acts of terror and ensure the perpetrators are brought to justice. Ahmad Al-Mahmoud told Stuff, “the guy was wearing like an army [suit]. He had a big gun and lots of bullets. He came through and started shooting everyone in the mosque, everywhere.” Eyewitness accounts are axiomatic of the terror and mayhem perpetrated on defenseless Muslim worshippers including men, women and children during the Friday afternoon Jumu’ah prayers. Also reported was New Zealand goalkeeper, Atta Olyan seriously injured being the latest fatality, increasing the death toll to at least 50. Amongst the seriously wounded are a father – Wasseim Alsati and his 4-year-old daughter, Alen, who was shot at least seven times between them, both of whom are fighting for their lives. The answers that the New Zealand Prime Minister and her Government seek, lie framed within the globalized context. Countries like the United States and the United Kingdom in their ominous and diabolical relationship have consistently undermined the prescripts of international law. They remain the prime architects of grand terror. The UN Security Council approval in both instances was unsanctioned in the US/NATO military invasion in Afghanistan in October 2001 and by the US/UK invasion of Iraq in March 2003. Article 2(4) of the UN Charter prohibits the “threat or use of force against the territorial integrity or political independence of any state”. The key findings in the Chilcot report confirmed there was “no imminent threat and the judgements about the severity of the threat posed by Iraq’s weapons of a mass destruction – WMD – were presented with a certainty that was not justified”. Any injunction for world peace must dictate that former leaders such as Bush and Blair own up to their criminal responsibility to the International Criminal Court in the interests of justice for their egregious crimes. Successive US presidents, like Obama and Trump too, share criminal responsibility under universal jurisdiction in advancing imperial military campaigns. According to ESOC  and the UN, civilian populations displaced and killed in Afghanistan and Iraq are staggering. These atrocities were perpetrated in the name of sloganizing false flags, like the “War on Terror” and “Weapons of Mass Destruction,” where global arms manufacturers, bankers and financiers remain contributory criminally responsible. The wanton destruction caused to civilian infrastructure, damage in social relations, mental health and overall wellbeing and the environment in these conflict regions shall take many decades to restore for future generations, without any further impediment. In these unlawful cancerous state relations, have been consistently sustained campaigns on all fronts to stigmatize Muslims globally with sustained Islamophobic hate speech and incitement including but not limited to “Islamic Terrorism / Extremism”, “Fundamentalism” and so forth. Global media too share in its complicity by masticating on metaphorical idioms churned out by political rhetoric and nuances by these ignoble architects of grand hate and terror who have fertilized and sustained Islamophobia. Nation states must become mindful of the real threat of the ultra-right wing with its contemptible and genocidal attributes who have a complete lack of disrespect and intolerance towards other people’s race, color, creed and religion. Mark Weisbrot, co-director of the Center for Economic and Policy Research alerts to the growing number of countries in Latin America amongst others like Brazil, Argentina, Columbia with questionable legitimacy, “having an ideological affinity with Trump”. Venezuela’s energy crisis is coupled with Trump recognizing opposition leader Juan Guaido as the country’s interim president despite the 2018 election which gave President Nicolas Maduro a second term. Trump’s intolerant conduct and aligning with the ultra-right and despotic regimes under the auspices of strategic regional partnerships also illustrates an utter disregard for the rights of minorities and immigrants in the US. The sustained US relationship with apartheid Israel, despite worldwide condemnation and contravention of international law and boni mores of the international community, continues being a maligned tumor. Why did it have to take the Christchurch tragedies of EPIC PROPORTION to get the New Zealand Authorities to only now beginning seriously reviewing its Firearms Control and private ownership of semi-automatic weapons and munitions? Whilst reports of the banning of semi-automatic rifles are welcome, New Zealand Authorities had allowed these weapons of terror which had come into the very hands of a malevolent, like Tarrant with a clear political agenda. Whilst hard questions concerning gun laws, immigration both for New Zealanders and the world must be reviewed, regrettably, it has come at the expense of innocent Muslim worshippers and their bereaved families. It must be said that this tragedy should have been avoided but for New Zealand’s Authorities gross negligence and failure in taking the necessary safety and security precautions in protecting its citizens and the broader Christchurch Muslim community. New Zealanders may only now have fully realized that the sustained success of its state, is inextricably connected to the Muslim communities’ invaluable contribution and beneficial presence. Muslims who ought to be vested with full legal status and rights together with other minorities living in New Zealand. One country for all who live in it. May these words be converted into tangible action for the protection of all New Zealanders.
. Wiki – Srebrenica in 1995, included the killing of more than 8,000 Bosniak (“Bosnian Muslim”) men and boys, as well as the mass expulsion of another 25,000–30,000 Bosniak civilians, in and around the town of Srebrenica in Bosnia and Herzegovina, committed by units of the Army of the Republika Srpska (VRS) under the command of General Ratko Mladić. Ziyaad Ebrahim Patel is a Johannesburg based attorney, international human rights lawyer and lawfare activist. He contributed this article to Media Monitors Network (MMN) from South Africa.